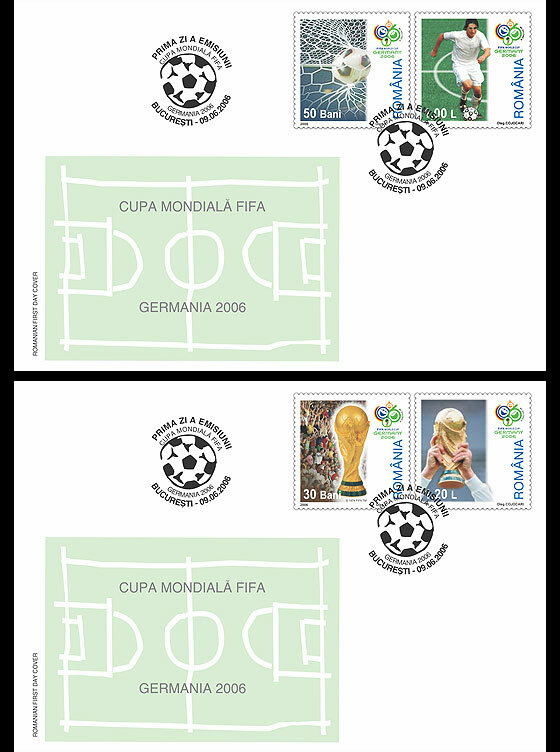 The 2006 FIFA World Cup TM was held in Germany. But with one major change: the host nation(s) continued to receive an automatic position but the defending champions had to qualify. Teams representing 198 national football associations from all six populated continents participated in the qualification process. 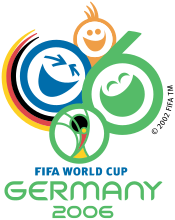 Thirty-one teams qualified from this process, and joined Germany, for the finals tournament. 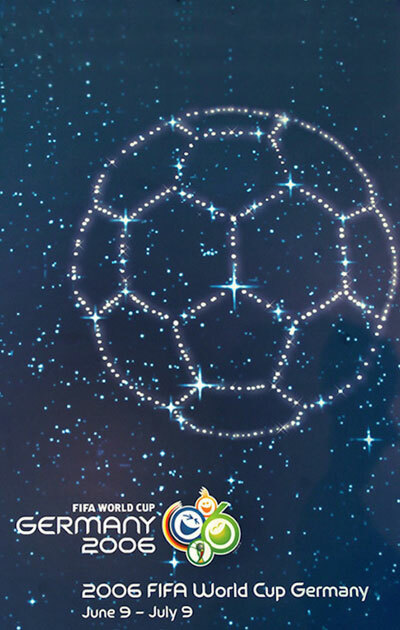 The official 2006 FIFA World Cup™ poster was of stars in the shape of a football in the night sky. It was designed by the Berlin agency, WE DO communication . 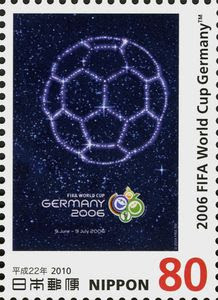 The 2006 World Cup was watched by an estimated 26.29 billion non-unique viewers, compiled over the course of the tournament. Over 3 million people attended the games and the average gate was 52,491. The tournament was held between twelve city stadia. 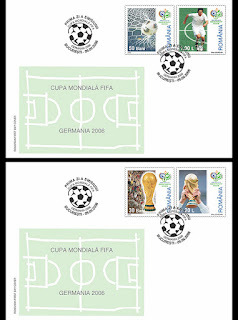 Berlin (Olympiastadion), Dortmund ( Westfalenstadion *FIFA World Cup Stadium, Dortmund) , Munich (Allianz Arena * FIFA World Cup Stadium, Munich ) , Stuttgard ( Gottlieb-Daimler-Stadion), Gelsenkirchen (Arena AufSchalke * FIFA World Cup Stadium, Gelsenkirchen) , Hamburg ( Volksparkstadion *World Cup Stadium, Hamburg) , Frankfurt (Commerzbank-Arena *World Cup Stadium, Frankfurt) , Cologne (RheinEnergieStadion *FIFAWorld Cup Stadium, Cologne), Hanover (Niedersachsenstadion *FIFA World Cup Stadium, Hanover ), Leipzig (Zentralstadion ), Kaiserslautern (Fritz-Walter-Stadion), and Nurenberg (Max-Morlock-Stadion * Frankenstadion) . The stadiums in Berlin, Munich, Dortmund and Stuttgart hosted 6 matches each and the other 8 stadiums used hosted 5 matches each. *FIFA prohibits sponsorship of stadia unless the stadium sponsors were also official FIFA sponsors. The opening game between Germany and Costa Rica in the Olympiastadion Berlin, was in front of 64950 spectators, and gave the perfect start for Germany coach Jurgen Klinsmann, whose side triumphed in a 4-2 victory. One hundred and ninety eight (198) teams started on the journey to the 2006 FIFA World Cup TM . Thirty one (31) countries finally joined the host nation, Germany. Five coutries from Africa (Angola, Ghana, Ivory Coast, Togo and Tunisia) ; Four from Asia (Iran, Jaspan, Saudi Arabia, South Korea); Fourteen from Europe (Croatia, Czech Republic, England, France, Italy, the Netherlands, Poland, Portugal, Serbia and Montenegro, Spain, Sweden, Switzerland and Ukraine ); Four from North, Central America and the Caribbean group (Costa Rica, Mexico, Trinidad and Tobago and United States); Four from South America (Argentina, Brazil, Ecuador, Paraguay) and finally Australia from Oceania. Eight nations qualified for the first time: Angola, Czech Republic, Ghana, Ivory Coast, Togo, Trinidad and Tobago, Ukraine, and Serbia and Montenegro. Czech Republic and Ukraine were making their first appearance as independent nations, but had previously been represented as part of Czechoslovakia and the Soviet Union respectively; Serbia and Montenegro had competed as Yugoslavia in 1998, as well as making up part of Yugoslav teams from 1930 to 1990. Eight teems were seeded and comprised Pot A in the draw. Pot B contained the unseeded qualifiers from South America, Africa and Oceania; Pot C contained eight of the nine remaining European teams, excluding Serbia and Montenegro. Pot D contained unseeded teams from the CONCACAF region and Asia. To avoid more than two European teams from appearing in any group, a special pot contained Serbia and Montenegro which was completed from the three seeded non-European nations, Argentina, Brazil, and Mexico. 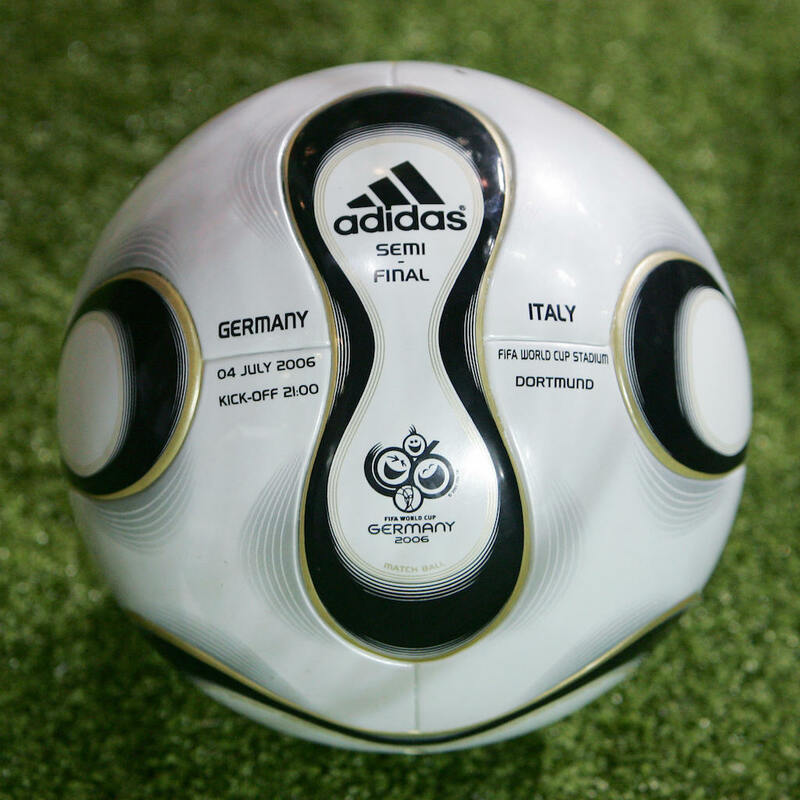 The competition ball was the adidas +Teamgeist (German pronunciation: [ˈtiːmgaɪ̯st]) and the plus sign in its name was introduced for trademark purposes. 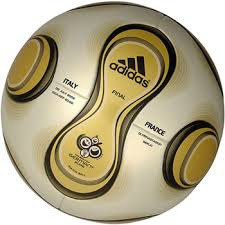 The ball took three years to design was by the Adidas Innovation Team and the Molten Corporation, and had just 14 curved panels (making the ball topologically equivalent to a truncated octahedron). The +TeamGeist panels were bonded together to create an almost perfect sphere, and when hit regardless of where perform uniformly, according to adidas. However, now with with fewer seams, and reduced less air resistance, the new ball was prone to altered flight patterns. The ball was waterproofed and remained a uniform weigh (approximately 443 g) regardless of weather conditions. Loughborough University conducted extensive comparative testing on the ball, along with the Adidas football laboratory in Scheinfeld, Germany. Each of the 32 qualified federations received 40 match balls for training purposes. For the first time, match balls were customised under a protective coating, and had the name of the stadium, the teams, the match date, and the kick-off time of each individual game. The +TeamGeist was critised for being too light and had a vastly different performance when wet. In total, there were 147 goals scored during the tournament (with 2.3 per match). Something which was noticable was the number of long range goals scored from outside the penalty box. 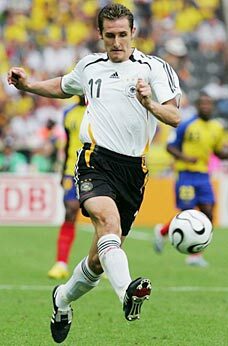 The 'knuckleball' effect when the ball was airborne, was highlighted in the very first game of the World Cup, when Philipp Lahm and Torsten Frings scored spectacular goals that visibly dipped and swerved in the air. 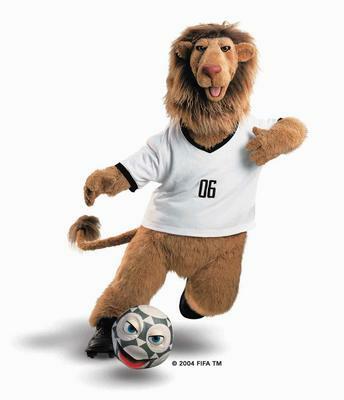 The 2006 FIFA World Cup TM Mascot was Goleo VI (lion) and his side kick, the talking football, Pille. In German, "Pille" is a colloquial term for a football. Goleo (portmanteau of "goal" and "leo" ) wore a German strip with the number 06 on the front. Unlike many of the preceding mascots, Goleo VI was a "live" mascot who could walk, talk, sing and dance and generally entertain fans both on TV and at the stadiums. 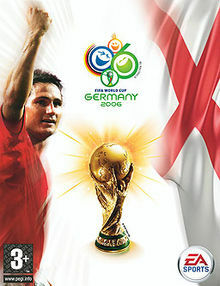 FIFA and the OC worked with The Jim Henson Company, creators of "Sesame Street" and the "Muppet Show", to create the 2006 Mascot. 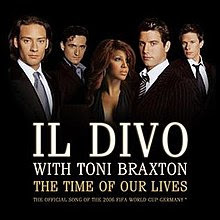 The official song for the competition was "The Time of Our Lives" recorded by Il Divo and featuring Toni Braxton. 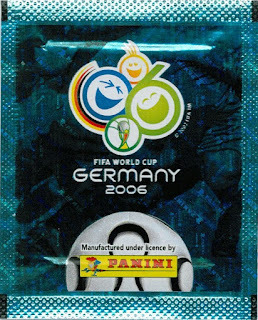 Several sponsors ran commercials for the 2006 FIFA World Cup TM Germany. 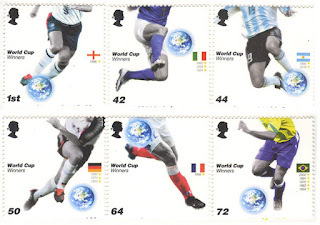 Many more countries issued World Cup themed postal stamps than previous competitions. In the first round, the thirty-two teams were divided into eight groups of four. There was a round-robin of three games, where each team played one match against each of the other teams in the same group. Teams were awarded three points for a win, one point for a draw and none for a defeat. The teams coming first and second in each group qualified for the Round of 16. Germany won Group A and were joined by Ecuador in the next stage. England and Sweden topped Group B and both Argentina and Netherlands qualified from Group C. Portugal and Mexico coasted through in Group D, and Italy and Ghana went through to the Round of 16. In Group F, Brazil won all of their three games and were joined by Australia in the knock out round. Switzerland and France finished top of Group G, and Spain dominated Group H, picking up the maximum number of points, scoring 8 goals, and conceding only 1. Ukraine joined them in the next round. 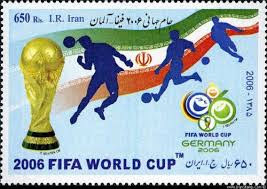 The 2006 FIFA World Cup TM witnessed the clash of boot sponsors and the realisation players had to comply with team sponsorship but at the same time be free to promote their individual contract obligations from other commercial interests. More and more players were photographed wearing team sponsors kit with their own boots, made by other manufacturers. In the final 16, Nike sponsored 5 teams, followed by adidas (4) Puma (3), Umbro (2),and Lotto and Marathon sharing one each. It was a matter of record before the FIFA World Cup Germany 2006, Australia’s captain Mark Viduka (Middlesborough) was photographed wearing Puma gear. Just one week later, he was dressed in Nike gear. 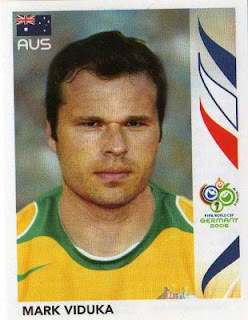 Mark Viduka was seen playing and training with the Socceroos in his Nike gear, as per contract. The player was now allowed to wear his own Puma boots for matches and was free to do sponsorship work for Puma outside Socceroos time. 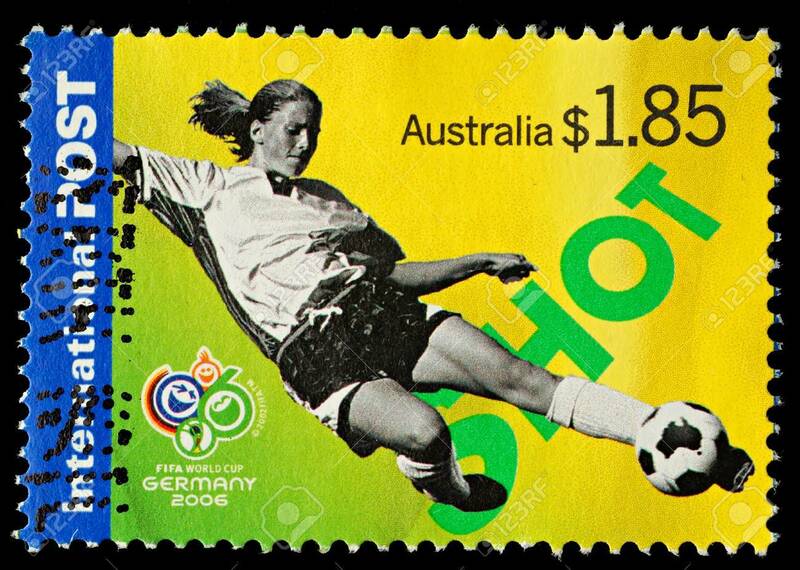 Sponsors clambered on board to make the most of Australian soccer's rare appearance on the later stage of the FIFA World Cup Germany 2006. 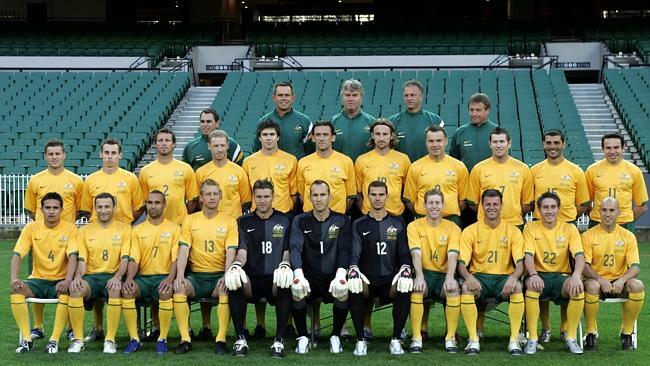 With the notable exception of Liverpool winger, Harry Kewell none of the Socceroos had individual sponsorships before their qualifying victory over Uruguay in Sydney, November 2005. Success meant players could negotiate a myriad of commercial arrangements. The work done against Uruguay definitely lifted the team’s status, and as national heroes, the Socceroos have become public property with much potential for commercial success. The use of player images to market the game and apparel made their endorsement a valuable asset. In exchange for their co-operation, Australian players got 30 per cent of the Australian Federation's net sponsorship deal and shared this equally. Apparently the team sponsors were required to use at least four player images at a time to avoid undermining individual sponsorships, and to reinforce perceptions of a team game. Jostling for their moment in the World Cup spotlight were team sponsors Qantas , Nike, Hyundai , Powerade , Telstra , National Australia Bank(NAB), Westfieldand SBS . 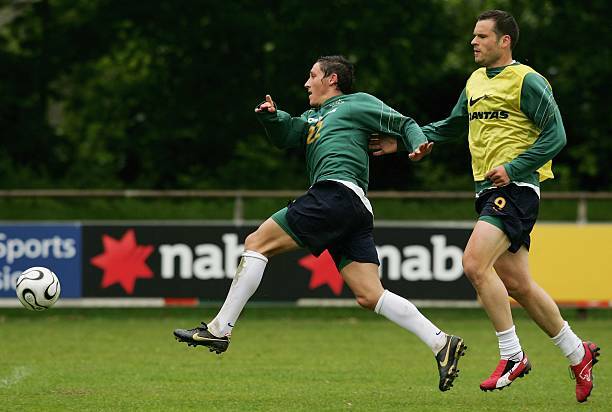 A representative of Football Federation Australia took advertising hoardings for Telstra, Westfield and NAB halfway across the world and installed them around the training grounds so Australians would see them in the background when the Socceroos were training. In the Quarter Finals Germany beat Argentina 4-2 on penalties; Italy thumped Ukraine 3 -0; after a no scoring draw Portugal beat England 3 – 1 on penalties; France beat Brazil 1 - 0. Milos Klose ( Germany) finished as the top scorer of the tournament with five goals. He scored two close-range goals in the 4–2 win over Costa Rica, then added another two in the final group game to defeat Ecuador 3–0 . Klose scored an 80th-minute headed equaliser against Argentina in the quarter-finals. 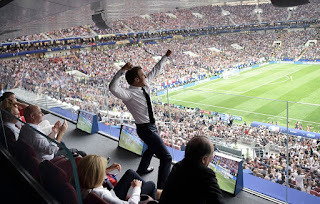 The Semi Final at FIFA World Cup Stadium, Dortmund saw Italy beat Germany 2-0 ; and at the FIFA World Cup Stadium, Munich, France beat Portugal 1 – 0. The final was between Italy and France at the Olympiastadion, Berlin. The golden adidas +Teamgeist™ Berlin, was used for the final and the game went to penalties after the match finished 1–1 after extra time. France's captain , Zinedine Zidane was sent off for headbutting Italy's Marco Materazzi's chest in retaliation to Materazzi's verbal provocation. 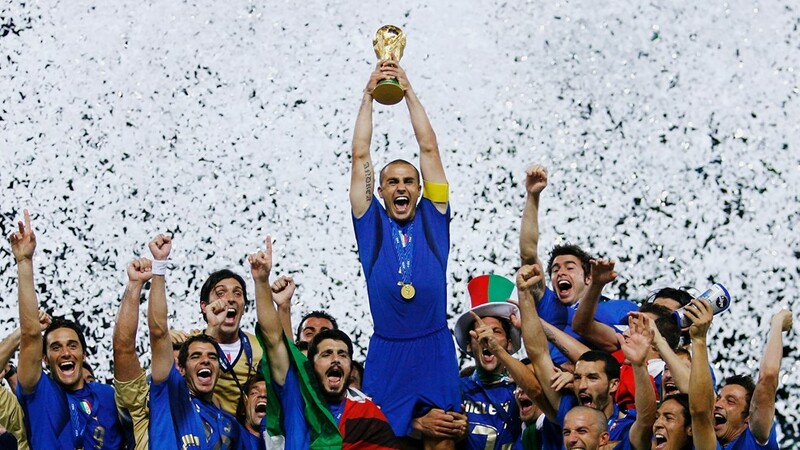 Italy went on to win 5–3 in a penalty shootout, claiming their fourth World Cup title. The final attracted an estimated audience of 715.1 million people. No FIFA World Cup TM could be without a swag of video games, and FIFA World Cup: Germany 2006, the official video game for the 2006 FIFA World Cup. It was published by EA Sports and released simultaneously on the GameCube, PC, PlayStation 2, Xbox and Xbox 360. It was also released on the Game Boy Advance and Nintendo DS handheld systems at the same time as the console versions.